When Brian Sweeney had the idea to start a drone-focused Explorer post in North Carolina, he figured he’d have no trouble filling the 10 available spaces. He was 100 percent correct. Sweeney, Exploring director for the Charlotte, N.C.-based Mecklenburg County Council, launched the STEM-centric post in September 2018. Exploring, which is celebrating its 70th anniversary this year, gives young people ages 14 to 20 hands-on, real-world experience in a career field that interests them. Each Exploring post caters to a particular career field, such as law enforcement, business or health care. Explorer Post 1194, with its focus on drones, sits in the Aviation career field. 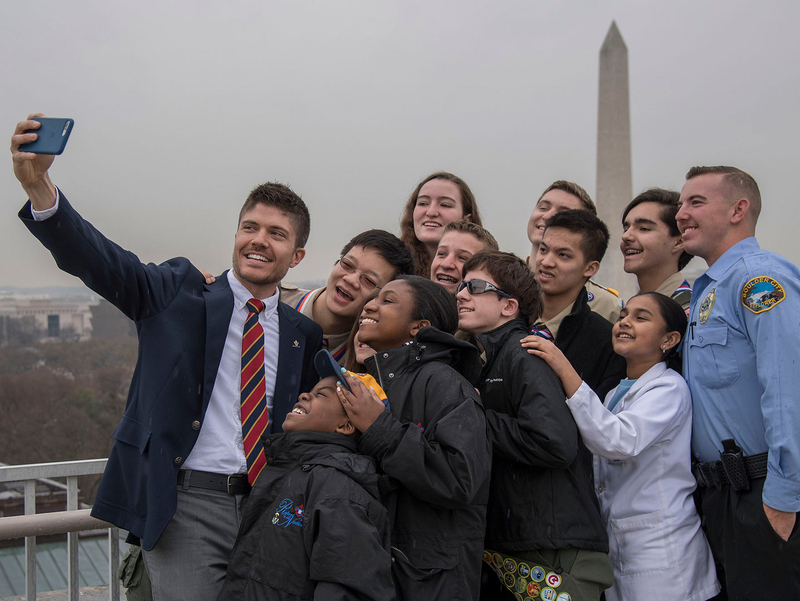 To get the drone-focused Explorer post off the ground, Sweeney started by finding adults who were willing to share their unique skills with young people. He found instant allies in Dale Callan of Central Piedmont Community College and Joe Valasquez of DroneScape, a local drone company that works with the North Carolina Department of Transportation. DroneScape gained statewide recognition for its work in the aftermath of Hurricane Florence in 2018. Drone operators captured 2,600 photos and videos of damage and flooding, giving first responders a detailed look at the destruction. Next, Sweeney found additional drone companies and drone enthusiasts, asking each to lead a session with the Explorers. Exploring helps young people discover their futures, and you can be a part of the journey. To learn more about joining, starting or supporting an Explorer post near you, visit the Exploring site.